We all have different motivations for trying Brazilian Jiu Jitsu. Some people are looking for a workout while others are interested in learning self-defense. The social aspect alone can be very enticing. 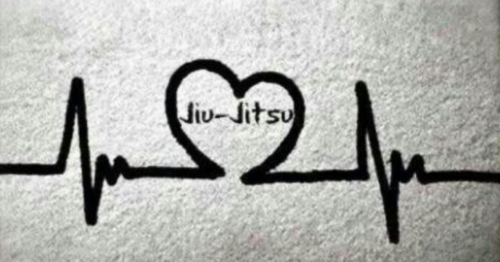 The reason someone starts training Brazilian Jiu Jitsu does not change the fact that they have to enjoy the sport of Brazilian jiu-jitsu itself or training will quickly become painful and empty. There are always ups and downs in training. One day is a constant party of accomplishments and fun, and the next it is filled with questions about why to even bother trying. Sometimes all one needs is a little pity party, a step back, a good meal, all the water, and a good night’s sleep in order to reset one’s motivations. These ups and downs are never easy. The things that we hold dearest in our hearts are never the easiest. Love is required to push through the tough times. Yet, just like any relationship, you have to take into account the balance of your love, the good times, the bad times, and decide whether to stay or go. Training for the validation and recognition of others will only lead to being beat down. Every day is going to be next to impossible. Every lost position or tap will be heart wrenching. Every time a potential partner turns to partner with someone else, anger and resentment will roar its ugly head. Everytime someone gets promoted, that special moment will become a selfish one full of questions. These exterior recognitions are not enough to keep training and focusing on them will often lead to frustration. Validation and recognition from others is not sustainable motivation and I believe this can be extra tough for women. The Brazilian Jiu Jitsu community as a whole is trying to grow women’s presence and numbers in the sport. Couple this with how many single (and sometimes not single) men want a bjj girlfriend, and a potentially dark aspect arises that is often exacerbated by social media. New women who train can become inundated with attention and support on and off the mats. Some thrive on it, while others do not. Over time this fades and this can be hard to handle. One can become accustomed to this extra attention and then wonder why it leaves. The support and attention that used to be there is often transferred to newer students. This can be tough and lead one to feel like they are worth less. Hard work and time are the only things that will gain one new recognition. It’s a different kind of recognition, more subtle, but much sweeter. I giggle thinking about how awesome I thought I was in the sport early on. I resented why it took time for some people to warm up and accept me. Eventually I stopped thinking about them and focused on what really mattered: training. I worked hard for me and my love of the sport. Over time I found I had their acceptance. We had become comrades due to our shared passion. Enjoy the movement of the sport, the challenge, the game of it. There is pleasure in being in the moment. All other goals are secondary to enjoying and loving the sport itself. Ketra Bartek AKA the Cuddly Killer is a brown belt based out of Austin Texas. She loves to aggressively cuddle for fun and competition. Her favorite way to relax after training is snuggling her dogs while finding cute pet videos to inundate her friends. The whole time reading, I was hoping for the last paragraph…I’m so glad you knew/know my greatest (of many) Jits blessing!